Enter your email below to get your free Lights Spreadsheet. 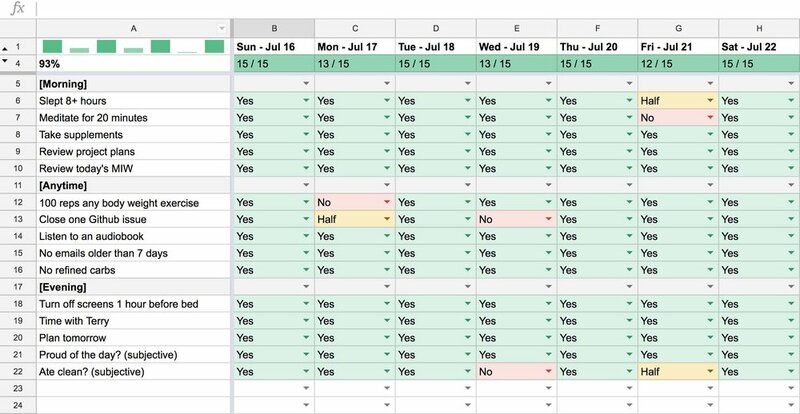 Thousands of people worldwide are using a Lights Spreadsheet for greater motivation, consistency, control, analysis, and just staying on track with having an amazing life. Lights is already being used by some of the top performers around the world in fields ranging from programming and engineering, to getting that PhD thesis done, to building a startup or making amazing art.